The purpose of this feature is to provide support to facilitators in the planning, development, and execution of a Field Leadership Assessment Course (FLAC) portion of the L-280 course. The FLAC is intended to provide an opportunity for the students to practice the leadership, communication, and teamwork concepts covered during the first day classroom portion of the L-280 course. A well planned FLAC is essential for a successful course. The FLAC is where it all starts to come together for L-280 students-where theory meets application. The FLAC provides an opportunity for cadre and students to have fun while providing a learning and self-discovery environment in the context of what firefighters do every day. The FLAC is a series of problem solving events where students, working in small teams, practice the concepts that were presented in their reading assignment and classroom session. The intent of the FLAC is to give students the opportunity to apply lessons from the classroom instruction in order to do some self-assessment regarding their positive and negative leadership traits. 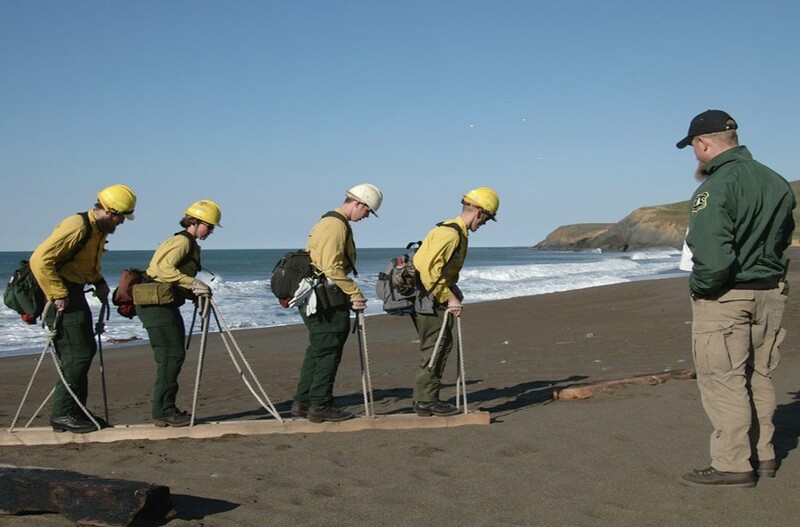 The FLAC also is intended to help fire managers develop quality leadership in their workforce by providing a method to assess individual competence for handling small teams that have been charged with accomplishing a task under conditions of stress. The FLAC was adapted from the Leadership Reaction Course used at the U.S. Marine Corps Officer Candidate School. In 2001 and 2002, when the Wildland Fire Leadership Development Program was first being established, about 150 wildland firefighters were invited to attend a series of leadership development workshops hosted by the Marine Corps University in Quantico, Virginia. In these workshops, wildland firefighters had the opportunity to experience a number of leader development techniques used by the Marines. These techniques included their Professional Reading Program, Tactical Decision Games and Sandtables, Staff Rides, and the Leadership Reaction Course (LRC). All these techniques have since been adapted for use by the wildland fire service. In 2003, when L-280 was being designed, the project team members were individuals that had been to the Marine Corps University leadership workshops and determined that a portable wildland fire version of the LRC could be developed. The FLAC is the result of that effort. FLAC Coordinator Briefing Video - WHERE IS THIS? FLAC Observer/Controller Station Briefing Video - WHERE IS THIS? Used by O/C to evaluate leader and team actions at FLAC stations. A more detailed evaluation format adapted from the military Leadership Reaction Course. Used by students for self assessment after completing the FLAC. Completed JHA for standard FLAC stations. Blank ICS-206 for medical emergency planning. Includes JHA, medical plan, course map, and start schedule - WHERE IS THIS?. Includes schedule and non-standard station descriptions. - WHERE IS THIS? Includes non-standard station descriptions, weather contingency plan, and cadre AAR. Collection of team building exercises put together by the Maine Civil Air Patrol. Land-Based Team Building Games - BAD LINK? Provided as a reminder to consider the weather the day before running your session. Useful for previewing and mapping a course location.